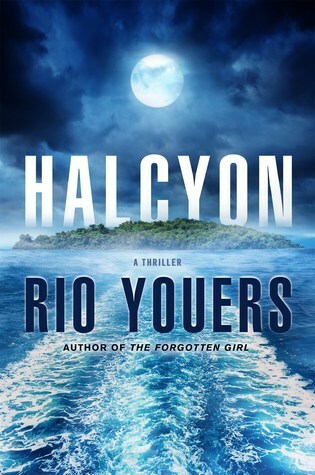 First things first, I want to thank the publisher and author for an advanced reading copy of Halcyon in exchange for an honest review. Receiving this advanced reading copy in no way influences my opinions or thoughts on the novel. Halcyon is Youers at his finest and is his best novel to date (and yes, that includes my raving over Westlake Soul). It is a slow burn that packs a wallop at every turn, mentally and emotionally. If you are looking for the perfect beach read or simply one to read before turning out the lights, I highly recommend you pick this one up. Halcyon is paradise, at least to the individuals brave enough to give up everything in order to see its glory. But what lies beneath and behind the paradise is all-consuming. It is run by Valerie Kemp, aka Mother Moon, a woman who has dedicated much of her life to the pursuit of Glam Moon (sorta like Heaven) and the riches it promises. The pathway to Glam Moon can only be found at the end of pleasure, which, as you guessed it, is pain. But in order to find that end, the pain that must be endured is unimaginable. Martin Lovegrove knows that pain all too well. After a sudden and tragic accident, Martin decides to move his family to Halcyon in order to heal and push away the unnecessary evils of everyday life. But Martin soon suspects that Halcyon is not all that it seems, and Mother Moon may be the key to unlocking what is underneath the facade. I have been a fan of Rio since reading ‘The Forgotten Girl’ last year and absolutely loving it. He is officially my go-to for psychological horror/suspense and Halcyon gave me just the dose I needed. He has a way of creating memorable and gripping characters, especially Martin Lovegrove (who I kept imagining as Martin Freeman for some reason). With everything that happens inside and outside Martin’s family unit, you as the reader continually pull for him and have to almost agree 100% with all of his decisions. He puts his family first, difficult as that is with a teenage daughter and a younger daughter with “powers” beyond comprehension. But what really kept me going was the backstory of Valerie Kemp, aka Mother Moon. Just the sheer pain and emotional toll she undertook to get to where she is almost made me cover my eyes while reading, but it was so fascinating to watch her grow from those experiences.